been gathering fresh herbs to cook with. fresh basil on the tomatoes! 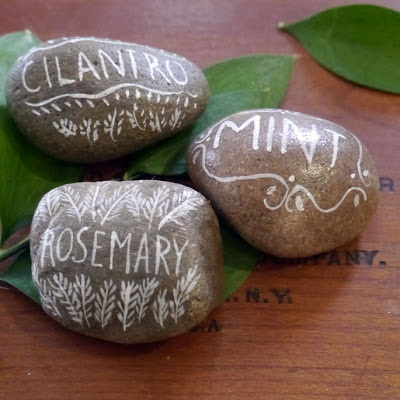 and make them into little herb markers. I always get what I need now! Wow! That's really nice!! Love the herb makers. They look great, what a nice idea! I love these markers! You make everything more lovely! Did you use paint or marker? Do they hold up in the weather or does the writing wash away? I used white acrylic ink and painted it on with a small paintbrush. They held up pretty well outside all summer but too much time in the weather and they start to fade. They should certainly be taken in for the winter. I also tried putting a varnish coating over it, but the same thing happened if left outside for too long. Those are really lovely. They look easier to see than little sticks in the ground and have a nice homegrown feeling. So you know I found my way here through Etsy, they featured your rocks in an email to members! We sell paint markers and other items on Etsy. You should consider paint markers as an option, then spraying them with a fixative, a clear acrylic spray from the hardware store works. Our markers have pigment in them so they are UV light resistant. Love this! You inspired me! I love this. 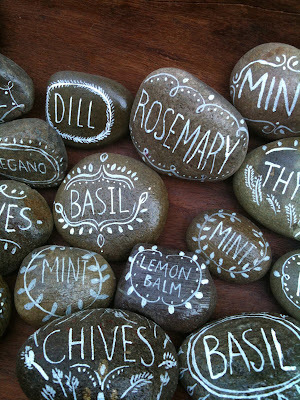 I found them on pinterest and I think I'm gonna have to make some when I get my own garden up and running. so much better than the placards that come in the pot. What a natural and creative idea! 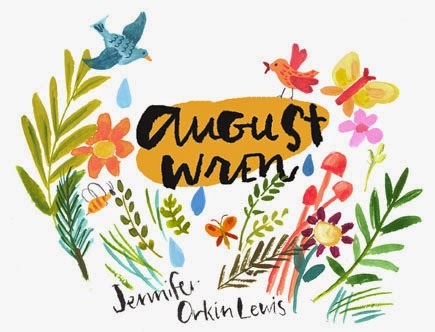 Thank you for sharing - I will be creating these with my Grandchildren - what fun it will be - I will have them in my garden & they can take them home to theirs - all about the memories and creation....Thank you again for the inspiration! 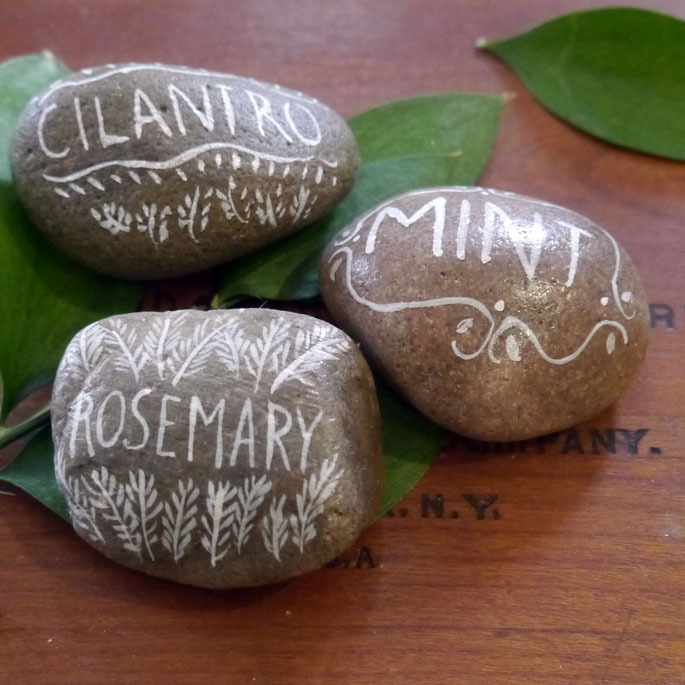 This is really creative to make markers by rocks or stones. 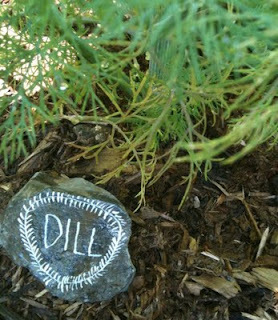 I would like to recommend you metal and wood garden markers by Idealgardenmarkers.com which brings attractive and long lasting plant markers for garden, parks.